Emir is an editor of the media fact-checking website “Raskrinkavanje.ba”. He joined CA “Why Not” first as an intern back in May 2017, after which he stayed as a employee. In 2017, he completed an intensive year long program “Academy for youth leaders in civic society” as a first generation member. After achieving the great results, he was engaged as a mentor for newcomers in the second generation. He is also an undergraduate student of International Relations and Diplomacy at the University of Sarajevo. 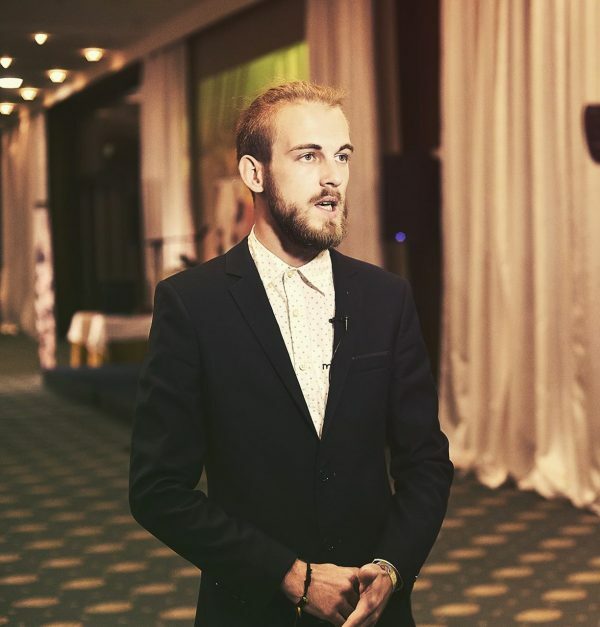 Emir is an activist since early high school where he was the first local coordinator, and then a board member of the largest secondary school students organization in Bosnia and Herzegovina, where he monitored and coordinated work of organization in over 60 local communities. Experienced in project planning, grassroots activities, student rights and education quality, he worked as a project coordinator, trainer, mentor and facilitator on dozens of projects, researches and activities around the country. He is also currently working as a trainer in the youth education department for “Schuler Helfen Leben” Foundation, and as an educator in the term of external associate for the Center for Eduction Initiatives Step by Step, and other NGOs.